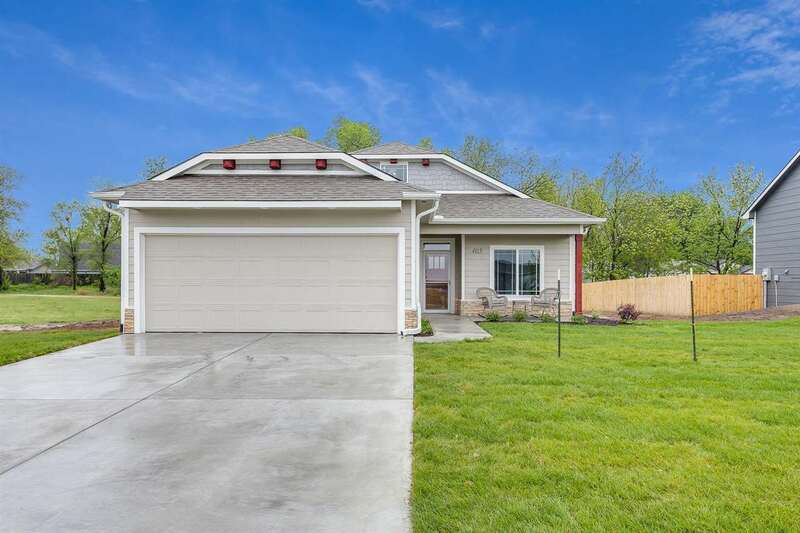 Gorgeous zero entry patio home in Haysville! Featuring 2 spacious bedrooms, a large kitchen with a functional island and walk in pantry, a generous living room with cozy gas fireplace, and granite countertops throughout. The master bedroom offers a walk in shower with rain head shower head, a beautiful sliding barn door, and two separate closest walk in closet and 2nd closet/safe room. Great location, close to Derby, South Wichita, both I-135 and I-235, and the Kansas Turnpike!